Early this morning, legislators announced an agreement to expand Iowa’s soon-to-expire law that merely decriminalized possession of cannabis oil for treatment of chronic epilepsy. 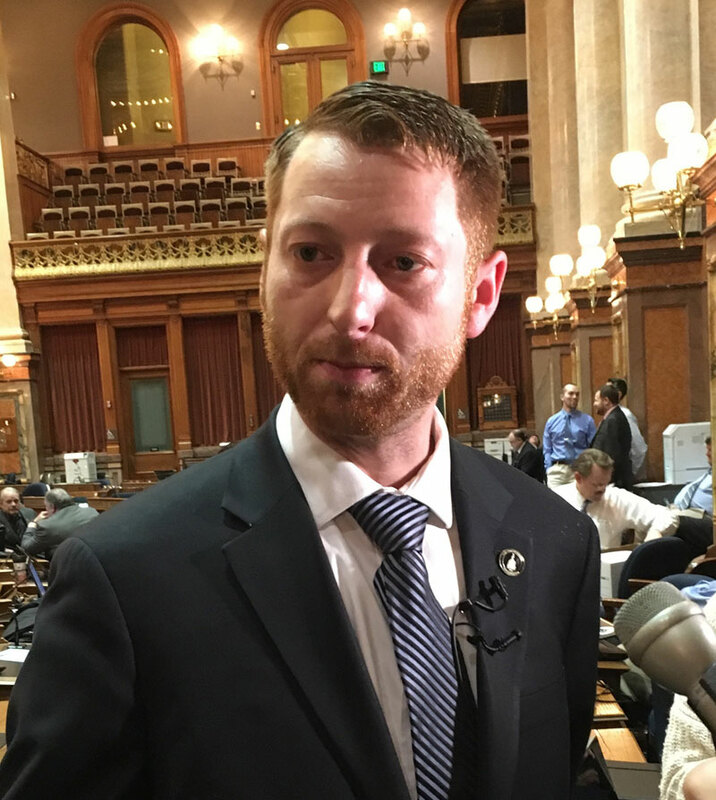 “There are sick Iowans out there who need relief,” Representative Jarad Klein, a Republican from Keota, told reporters during a news conference on the House floor at around 3 a.m.
Klein has been the point person in House negotiations on the bill. At 10 minutes past six this morning, the proposal won approval in the House on an 83-11 vote. The Senate voted on the plan shortly after 7 a.m. and it passed on a 26-14. The bill would let Iowa doctors prescribe cannabis oil to Iowans who suffer from any of 15 debilitating conditions. Last week, 45 of the 50 senators endorsed a broader bill. House Republicans, though, balked at authorizing cannabis oil with an unlimited amount of THC. That’s the chemical that creates the “high” from smoking marijuana. The bill that is expected to finally clear the legislature would limit THC content in medicinal cannabis oil to just three percent. Critics say that may not be enough THC to treat some conditions. But after lengthy behind-the-scenes negotiations, that was as much as key House members would agree to. However, under the new plan, a medical advisory board could decide some conditions may need cannabis oil with more THC and the board could allow it as treatment for more conditions. “I was hoping they would adopt our bill and I understand why they didn’t. I don’t want to wait another year,” Senator Tom Greene, a Republican from Burlington, said during an interview on the Senate floor early this morning. 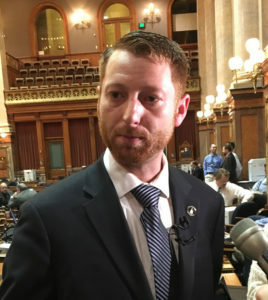 Greene, serving in his first year in the Iowa Senate, has worked on the legislation and led senate debate of the issue last week. He predicts the House plan will pass the senate this morning. “We want to ensure that people with those conditions of MS or epilepsy or any of these debilitating diseases who have progressed through traditional drug therapy and have not gotten relief or alleviation of their some of their symptoms of the disease state have another option,” he said. Greene spent more than four decades working as a pharmacist. If Governor Branstad signs the bill into law, Iowans with chronic epilepsy and the 14 other conditions mentioned in the bill would be able to get prescriptions for cannabis oil immediately. While they would not be prosecuted for possessing the oil, they still would have to go out of state to get it until the dispensary system was established within the state’s borders. Once this medical marijuana bill was settled, legislators quickly approved a bill that puts the final pieces of the state budget in place. It includes a few policy proposals, too, like regulating and taxing electronic cigarettes. House and Senate Republicans could not agree on a new source of funding for projects to improve water quality, so the bills were tabled. House Speaker Linda Upmeyer says, though, the proposals will provide a “springboard” for on-going discussions.